E-hoof.com is in the launching stage and is available for a ten-day free trial. 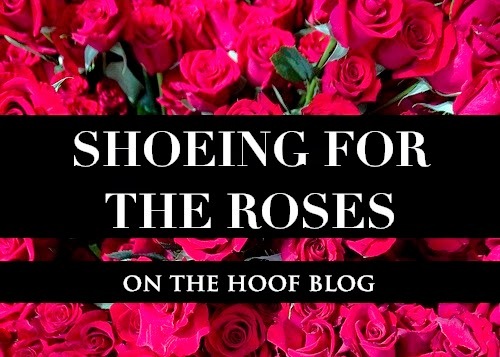 The massive reference and education site has been under construction for years and Hoof Blog readers are invited to view the English-language site. This article has been a long time in the making. For years, I have tried to peek behind the curtain while wizards created wonders. Finally, it is time to unveil what is surely the single most ambitious hoof-related education project that anyone has ever undertaken. 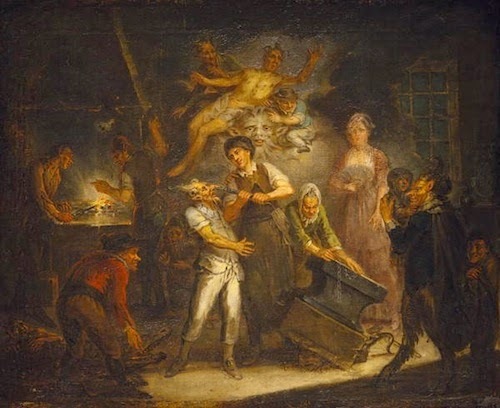 A French painting by Antoine St Aubert seems to illustrate one version of the St Dunstan legend, or a French legend like it. Religious history seems to be full of blacksmith and farrier saints! Today is celebrated as the feast day of St Dunstan, a 10th Century saint who lived a quiet life as a smith and a musician in Sussex, England, until one night the devil paid him a visit and one of the great traditions of folklore was born: the nailing of a horseshoe over a door. Who Left Those Hoofprints in the Sand? 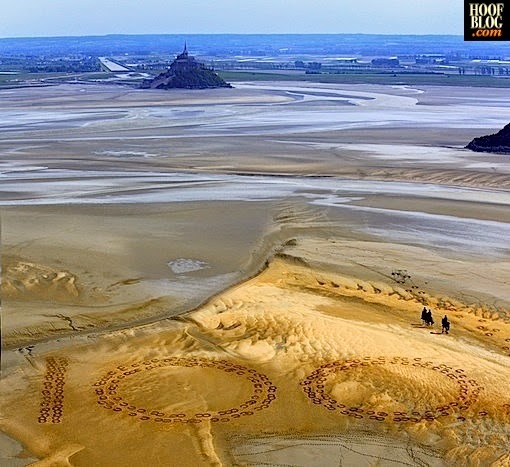 It's 100 days until the Alltech FEI World Equestrian Games begin in Normandy, France. Something was bound to happen, but who would expect this? 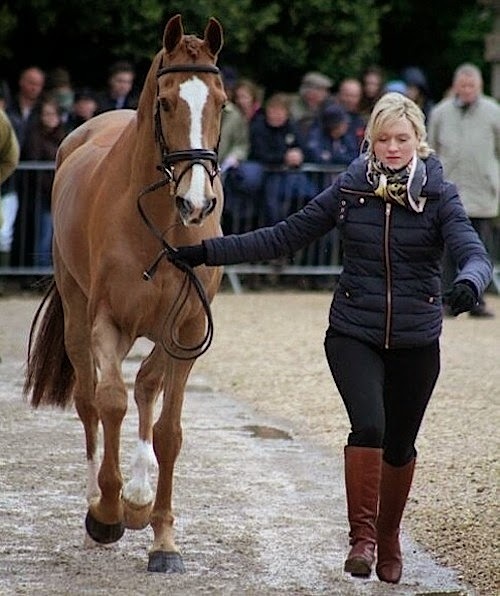 Whether it’s the list of those who have shod Kentucky Derby winners, or the list of the farriers behind (or underneath) the “Best Shod” horse each year at England’s Badminton Horse Trials, these are two lists that define the hard work that farriers do, and one of the few times in the year that the horse world notices shoes or shoers. The Badminton list grew a little longer yesterday when not just a new name was added, but a new nation. Neil Dickson took the plaque of the Worshipful Company of Farriers aboard a plane last night and headed back across the Irish Sea to of County Down, in Northern Ireland. Article © Hoofcare Publishing. If you'd like to re-publish, summarize or otherwise re-use the research that went into this article, please contact the publisher. There will always be an as asterisk next to the name of California Chrome in the Kentucky Derby history records. Yes, California Chrome was the first horse to win the Kentucky Derby wearing glue-on shoes. Glue on shoes that weren't glued on, that is. 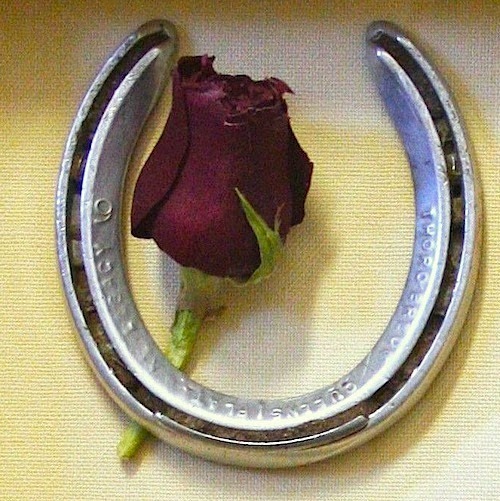 A horseshoe worn by 2013 Kentucky Derby winner Orb is being auctioned today on eBay. The auction benefits equine research. People often what a shoe from a famous horse is worth. The answer isn't easy. Authentication is tough, and fraud could be rampant. Have there ever been horseshoes on PBS's "Antique Road Show"? History Channel's "Pawn Stars" authenticated a horseshoe as having been on Secretariat's hoof based on the brand. Yet secretariat.com says that Secretariat always wore Victory plates. Most of the "authentic" shoes auctioned off as having been on Secretariat seem to be Thoro'bred plates. Will we ever know? The Grayson-Jockey Club Foundation funds equine research like the surgery at Rood and RIddle Equine Hospital described in this video; its Welfare and Safety of the Racehorsee programs work to keep racehorses safer and healthier during their competitive careers. It takes a lot of effort and skill to get a horse to the level of racing in the Kentucky Derby. There's luck involved, too. But you can be the best trainer with the best horse, and none of it matters if the racetrack and the industry aren't keeping up with safety and health initiatives that insure your horse has a fair chance.